It shows you your state agreement rate and a few other things. The only thing I am confused about is I got 93% Johnson, 64% Romney, and still came out more Republican. Guess Johnson is based off of more republican values. Also, inb4 "NO RON PAUL!" 94% with Gary Johnson, 89% with Mitt Romney. Only 33% with Barack Obama. 93% Republican, 79% Libertarian, 21% Democrat. Somebody posted this about a month ago, maybe micro. It's an interesting site, though, and it's the only political quiz straightforward enough that even my mom agreed to take it. We were both about 88% with Obama. 92% Romney, 88% Gary Johnson, 60% Obama. I would have thought I'd have been more Libertarian. Probably that pro life question. I'm not sure why I sided more with Gary Johnson on foreign policy than Romney. It could be due to the "Opt out of UN" question. 81% Obama, 73% Gary Johnson, 68% Jill Stein, but party wise I got 81% Democrat, 72% Green, 46% Republican, and then I got 31% libertarian. Can someone explain to me whats wrong with this picture here? What did you put for getting involved with other countries? are you talking about how he changed the first time, the second time, the third time, the fourth time, the fifth time, the sixth time, the seventh time, the eighth time, the ninth time, or the tenth time? "I side with Mitt Romney on 98% of issues in the 2012 Presidential election." Romney and Obama both only received 24% equally. 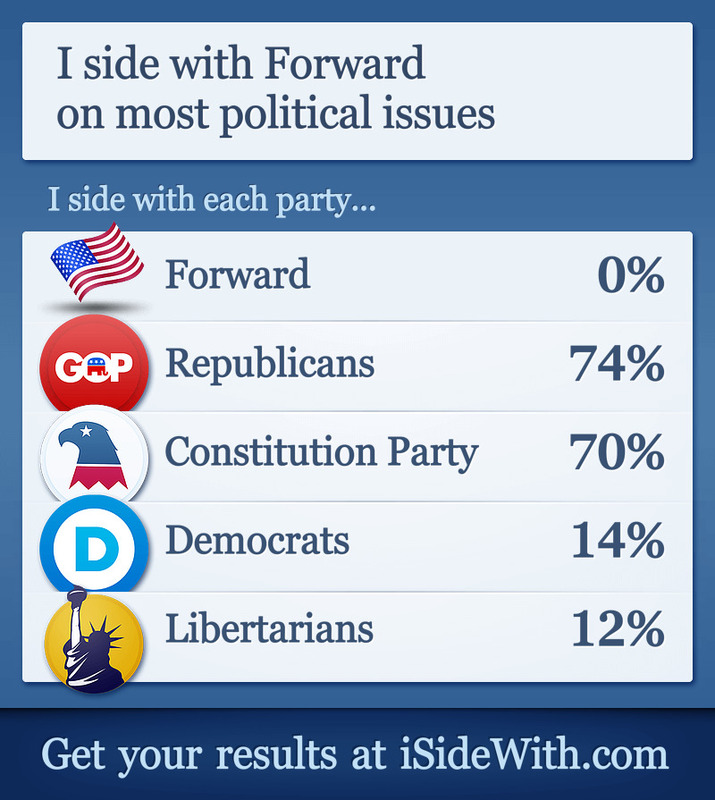 Why do I agree with Gary Johnson 74% but the Libertarian party only 41%? Gary is a softcore libertarian. 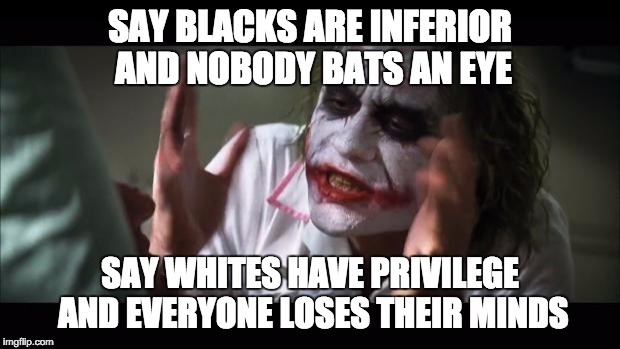 I couldn't anything on why it would be that much of a difference. Riding the fence like a boss. Libertarian 83%, Republican 73%, Democrat 66%, Green 39%. Nothing really unexpected. Surprised to see that I am 16% democrat though. Click "Choose Another Stance" and indicate the importance level of every question to get the most accurate results. 98% GJ. Cool. Not voting for him though. I probably should retake it from a non socialist standpoint.